OH NO!! I know what you are thinking, "He didn't pick the iPad Air 2 as the best tablet?! It's Apple's newest and most awesome tablet!" Correct. It is APPLE's newest and best tablet. But it is more of the same from Apple. While the iPad Air 2 is certainly Apple's best tablet ever, Amazon's Kindle Fire HDX 8.9" is still the King of tablets in Value. With a powerful Quad Core processor, and one of the highest resolution screens of any tablet, it is one of the best values available. The Kindle Fire HDX is undoubtedly the lightest tablet you can buy at just 375 grams. By comparison, the Nexus 9 weighs 425 grams, the iPad Air 2 weighs 469 grams, and Sony’s Xperia Z2 tablet weighs 439 grams. And the HDX comes with Amazon's simply amazing Mayday feature. Mayday is a 24/7, 365 day a year live Tech Advisor that comes on screen to guide you through any feature on your Kindle Fire by drawing on your screen, walking you through how to do something for yourself, or doing it for you—whatever works best. That's the kind of service most people would pay good money for, and it comes free. Considering the 16GB HDX is 27% ($120) cheaper than the iPad Air 2, you can't beat the price to performance ratio in the HDX. If you are a reader, or know one, this is really a MUST BUY. The Paperwhite is without question the finest ebook reader ever made. And at only $99 at Staples this season, it is a steal. What makes the Paperwhite special is it's ease of use and interface. It actually makes you smarter. With the Xray feature, you can long-press on the name of a place, a character, or basically anything else relevant to your book, and a pop-up window shows you everything you need to know: a biography, where else that person has appeared in the book, even useful trivia. If X-Ray doesn’t have your answers, you can always look up a word in the dictionary, or now on Wikipedia, all from within that pop-up. Get back into reading.. explore new worlds, study better than ever before.. The Kindle Paperwhite. Amazon's latest budget tablets, the Fire HD 6 and Fire HD 7, are on sale at a long list of retailers, including starring roles as doorbusters. The portable 6- and 7-inch tablets make great gifts and feature a user-friendly interface with lots of kid-oriented functions. 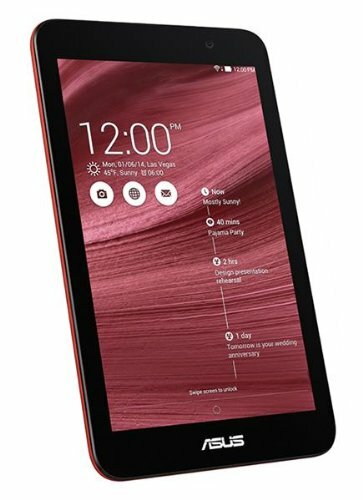 For $79, the Amazon Fire HD 6 will be a doorbuster (limited time deal) at Toys R Us and on sale at RadioShack, Office Depot, Best Buy, Kmart and Staples. You can find the Fire HD 7 as a doorbuster at Toys R Us($109) and Best Buy ($99), or for $109 at Staples and RadioShack. It's Asus, it's powered by an Intel Atom Quad Core processor, has a 7" HD IPS Display, and costs only $125. Absolutely the best Budget Tablet on the market. The LG G Pad 8.3 is a premium Android tablet that suffered from a high price-tag when it was first released. Now you have the chance to pick one up for as low as $199 at Sam's Club. It's slim and lightweight, with smooth performance to match its sleek looks. Though it comes in a pure Android version, the model on sale features LG's Optimus 3.0 overlay.